Suitable for .NET, Java (J2EE), Perl, PHP, Python, and Ruby applications, the ExtraHop platform analyzes web application transactions in real time and extracts health and performance metrics by client IP, method, host, and URI. This information helps IT teams troubleshoot and tune the performance of web and mobile applications as well as receive early warning about potential problems. Troubleshoot, tune, and proactively manage the performance of web servers, application servers, and load balancers. The ExtraHop Web Module, included with all ExtraHop platforms, provides real-time L7 analysis for all HTTP transactions on the wire. The ExtraHop Web Module supports advanced HTTP behaviors that confuse many other tools, such as request pipelining, early responses, and NAT proxies. Learn more about the ExtraHop HTTP Module. Manage the performance of your rich Internet applications (RIAs) based on Adobe Flash. The ExtraHop Action Message Format (AMF) Module equips your IT teams with unique and detailed insights based on traffic to and from Adobe Flash-based RIAs. Monitor SSL-encrypted transactions in real time with hardware-accelerated decryption and analysis. The ExtraHop SSL Expansion Kit helps IT teams manage application performance in secure environments and ensure that their SSL certificates are up to date. Learn more about the ExtraHop SSL Expansion Kit. The World Wide Web continues to transform how companies operate and interact with their customers, making web and mobile application performance more critical than ever. Web applications offer significantly simpler deployment and management compared to traditional client-server applications. However, the trade-off is a near-absolute reliance on the IT infrastructure. If the network, servers, databases, or storage systems perform poorly or fail, then the repercussions immediately ripple out to affect employees and customers. 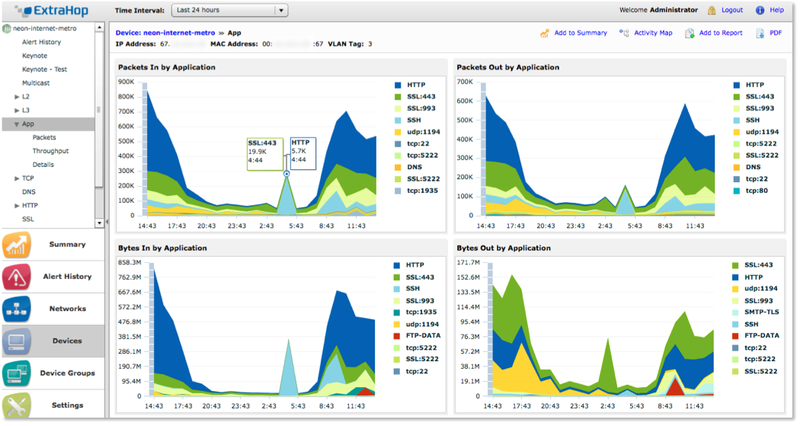 The ExtraHop platform is a wire-based IT operational intelligence solution that provides IT teams with a holistic, real-time view of web application performance. The ExtraHop platform not only monitors real user experience but also identifies the root causes of problems in the IT infrastructure. In addition to HTTP analysis, the ExtraHop platform also provides transaction-level visibility into the network, database, and storage tiers of an application. Compare the ExtraHop platform to traditional APM tools and user experience monitoring (UEM) tools.